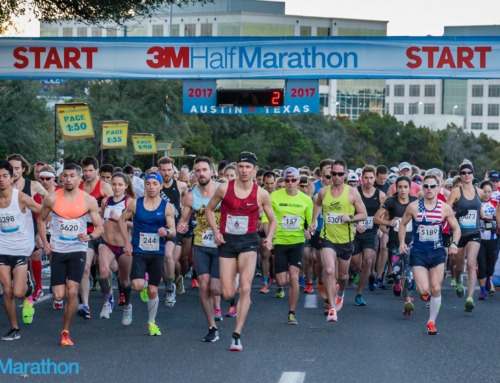 The fifth of six races in the 2014-15 Austin Fit Magazine Distance Challenge, the 21st annual 3M Half will be held this Sunday (January 25th), two weeks after the Rogue 30-K and three weeks before the final race in the series—the Austin Marathon on February 15th. Like most of the races in the Distance Challenge (other than Rogue), 3M is also held on a hilly course. But, it’s a mostly downhill course which makes it just about the ideal PR course. As usual, 3M will still start in the far reaches of north Austin outside the Gateway Shopping Center before it begins its downward plunge south toward downtown (there are a few short uphills) through neighborhoods and skirts the UT campus to the finish at the Bob Bullock Museum (17th and MLK) in the shadow of the Texas State Capitol. The finish area in front of the Bob Bullock Museum is where all the post-race festivities (and clothing pickup) will be held. The race will begin on Stonelake Boulevard, just south of Loop 360 and off MoPac. After a mile on Stonelake, the course heads east for the second mile on Braker, crossing over MoPac, before heading south along Burnet. After snaking through an industrial park, the course picks up Shoal Creek for two nice, gradual downhill miles and then continues on a southerly path down Great Northern (mile 7) before picking up Shoal Creek again. Just past nine miles, the course heads east east on 45th for a mile (a few ups and downs) until at 10 ½ miles, it picks up the always welcome Duval downhill. The stretch along Duval and San Jacinto is always a favorite as the nearly 2-mile long gradual downhill gives runners a chance to really roll and pick up the pace as they head for the finish. At Martin Luther King Boulevard, the course hits the 13-mile mark and all that’s left is a short, but tricky climb up MLK to the final run-in on a flat section in front of Bob Bullock to the finish line at the corner of 17th and Congress. A major factor in any 3M is the weather. Sunday’s forecast looks ideal: Temps will be in the low 40s at the start with no threat of precip. You might need light gloves, but tights and/or a jacket won’t be necessary. If there’s a north wind, it will be at your back for much of the race. The race will start at 7 at its traditional spot along Stonelake Boulevard right outside the Gateway Shopping Center in north Austin. Race officials urge runners to arrive in the starting area no later than 6 a.m. The earlier you can get there the better, as traffic on MoPac is always a mess. Gear check opens at 5:30 a.m. It’s very important to check dry, gear at the start so you have something warm to change into at the finish. With nearly 6500 runners expected for 3M, parking is also a nightmare. The best places to park are at Gateway near Dave & Busters, Sam’s or in the parking garage closest to Microsoft. Following the race, there will be transportation back to Gateway, beginning at 8:15 and running until 11:15. Race officials urge runners to park at Gateway as there is much more parking there than near the finish. This race used to offer substantial prize money, but in the last few years it hasn’t offered any which has discouraged some of the top locals from running. 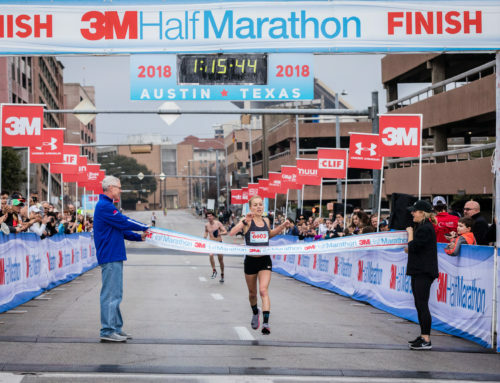 Among the women expected to contend are Allison Macsas, Chris Kimbrough (who was third last year) and Desiree Ficker (Ficker and Macsas will probably be leading pace groups), but the women’s favorite has to be Allie Mendez who missed last week’s USA Half Marathon Champs in Houston with a minor injury. 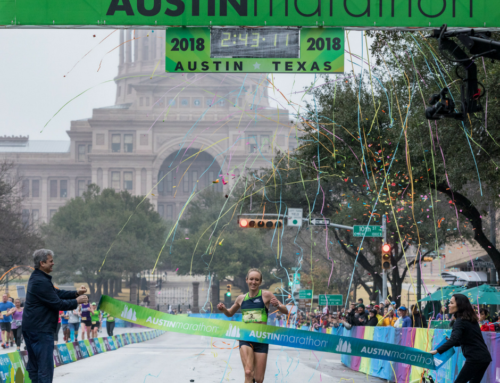 The top men should include Collin Smith, who has won the last two DC races (but ran Houston last Sunday in a PR of 1:09), Jacob Buhler of San Antonio who won the San Antonio Rock ‘n’ Roll Marathon in December and is making his Austin road debut, Will Nation, a recent UT graduate with terrific speed who is running his first road race and Joseph McCellon, a former Texas Tech runner who finished second at Decker and was fourth two weeks ago at the Rogue 30-K. Neither event record is likely to even be approached. The record for men is 1:01:05, set in 2009 by Martin Fagan. The women’s mark of 1:09:35 was set in 2008 by Jacqueline Nyetipei. 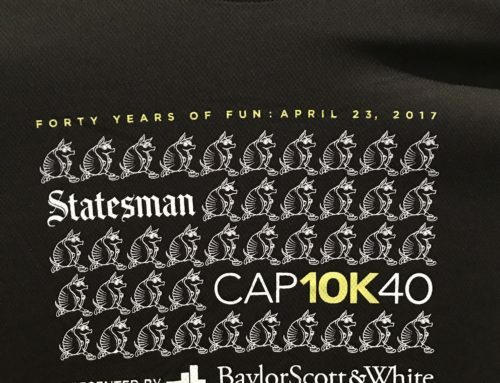 Since 3M has not reached its 6500-runner cap, there will be last-minute registration at packet pick up on Friday and Saturday (until the cap is reached) at the Bob Bullock Texas State History Museum (1800 Congress ) from 2-6 on Friday and 10-5 on Saturday. There is no race day packet pickup. Again, race time is 7 a.m.